On May 9, 1952, in Prescott, (Nevada County), Arkansas Reverend Matthew Babb was born to Matthew and Sallie L. Babb. He was the fourth child, and having been named after his father, was affectionately known as "Junior". On May 19, 2016, Rev. Babb transitioned from this life to his eternal resting place with our Heavenly Father. Rev. Babb was reared in the in the "Upchurch, (Nevada county), Community" and attended Prescott High School. He began working at age 18 for Firestone/Bridgestone Company in Prescott, Arkansas and after thirty (30) continuous years of service; he retired in 2001. Rev. Babb was a lifelong member of St. Mark Missionary Baptist Church. At an early age he accepted Christ as his personal Savior and fulfilled his calling into the ministry. Rev. Babb studied under the leadership of Rev. 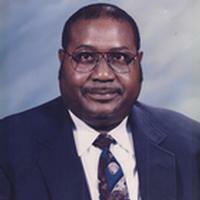 Eugene Toney and preached his first sermon at St. Mark Missionary Baptist Church and assisted with pastoral duties at Union Grove Missionary Baptist Church in the year of 1979. Rev. Babb's ministry experience includes Pastor of Friendship Baptist Church, Stamps, Arkansas; Macedonia Baptist Church, McNeil, Arkansas; Interim Pastor at St. Mark Missionary Baptist Church and assisted with pastoral duties at Union Grove Missionary Baptist Church. Rev. Babb was a meek and humble soul; he was very passionate about his calling into the ministry and serving God. He would often say he did not want anyone to make a fuss over him; his work here on earth was not for show or recognition by man; but that which would be pleasing to God, for his reward was in heaven. Rev. Babb was proud to be a Christian by faith, a Baptist by choice, and a Preacher/Teacher/Pastor by Divine Appointment. Rev. Babb enjoyed hunting, fishing, and taking long walks for exercise, but he most enjoyed spending time with family and friends. Rev. Matthew Babb was preceded in death by: his parents, Bro. Matthew and Sis. Sallie L. Babb and one sister, Sis. Marvel "Louise" Gill. He leaves to cherish his memories: two beloved sisters, Sis. Margaret Jones of Prescott, AR and Sis. Flora (Willie) Johnson, of St. Louis MO; a devoted and loving nephew Ivory Charles Jones of Prescott, AR; a devoted and cherished companion of twenty-six (26) years, Sis. Myrtle "Putten" Woodley of Prescott, AR; and a host of nieces, nephews, cousins, extended family and friends. Rev. Babb's memory will forever live in the hearts of all the lives he touched. He will be missed. Funeral services will be on Saturday, May 28, 2016 at 11 a.m. at St. Mark Missionary Baptist Church in Prescott, AR under the direction of Mitchell Funeral Home in Arkadelphia. Visitation will be Friday, May 27, 2016 from 12 noon to 6 p.m. with family hour from 5 to 6 p.m. at Mitchell Funeral Home. Burial will be at Sweet Home Cemetery in Prescott, AR. Viewing will be Friday May 27, 2016 from 12 Noon to 5 P.M. and family hour from 5 to 6 P.M.